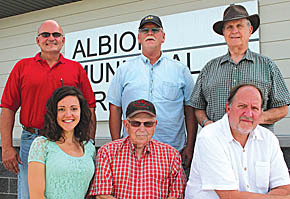 Albion Airport Authority is welcoming the public to see all the new facilities at the Albion Municipal Airport during an open house and dedication ceremony this Sunday, Aug. 11. A variety of activities will be held during the open house and fly-in/drive-in breakfast. A primary focus for the day will be the airport’s new terminal/ administration building, which was completed last spring. Details in the Aug. 7 Albion News Print & Electronic Editions.